So the right brain is entirely responsible for music? Why are Binaural Beats Useful? Today you’re going to learn all about how listening to music affects your brain on a fundamental level. We’ll start by looking at the research. How does music affect our emotions? Our physiology? Once we have that covered you’ll find yourself immersed in the world of music therapy. 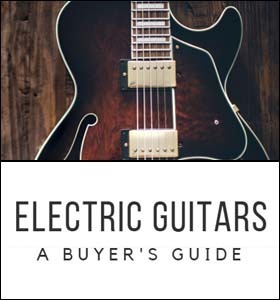 Train Your Brain: Play Guitar! Playing a musical instrument benefits your brain & memory. 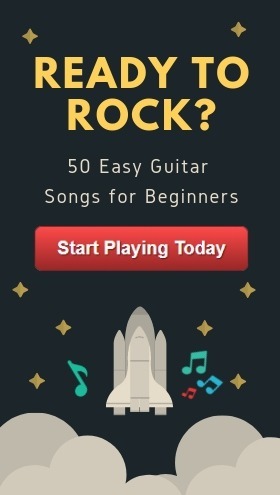 If you're interested in getting 50 super easy guitar songs that you can start playing today, enter your email below and we'll send you the link! Copy and paste the HTML code below to insert this infographic into a post on your website. Music pulls attention away from negative stimuli. When we listen to music it acts as a distractor, focusing our attention away from any negative stimuli and shifting it towards positive stimuli instead. When we listen to music, the neurotransmitter dopamine (also known as the ‘feel good chemical’) is released in our bodies. This is the same chemical that causes ‘runner's high’ in athletes. When we listen to music with a strong beat, our brain waves can be stimulated. Faster beats encourage more concentrated and alert thinking, while slower beats are associated with relaxed meditative states. Listening to music has a tendency to improve your state of mind. It can help keep anxiety and depression at bay. Studies found that when you listen to calm, sedative music, your perception of pain is reduced. Music takes your mind off the pain and helps you focus on something else. There have been hundreds of studies done on the brain in recent years. We’re trying to do everything we can to learn more about how our brains actually work, how they process information. I’m sure you’ve heard of left-brain vs. right-brain activities at one point or another. Here’s a quick refresher in case it has been a while. Your left brain is all about logic. Thinking about solid facts, solving a math equation, or ordering a list of words in alphabetical order. Your right brain, on the other hand, is all about creativity and the arts. This is where your imagination kicks in, or when you feel a sense of rhythm when listening to your favorite song. 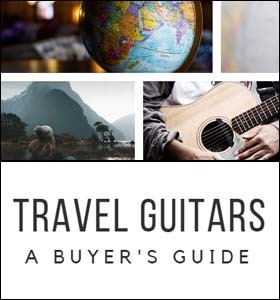 Whether you're playing guitar while traveling or trying to learn a song on piano (check out some of our recommended digital pianos), these are all right-brain activities. 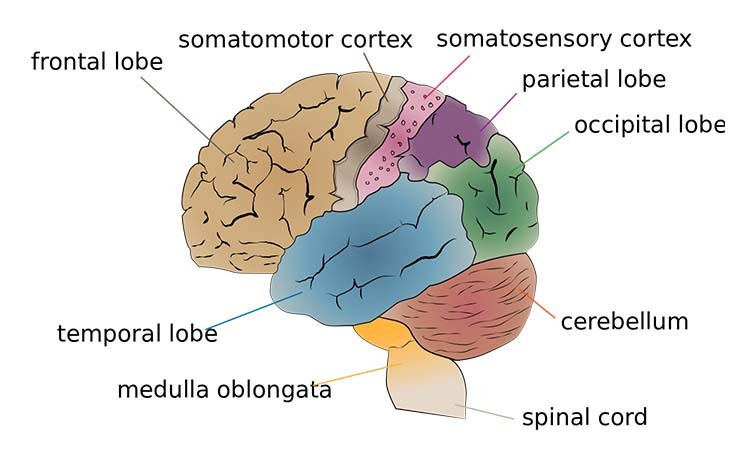 The significance of this is that our brain’s right hemisphere (the non-dominant, creative one) is responsible for our ability to “process” music. This was determined through a series of studies on how music affects the brain (Stewart, Kriegstein, et al. 2006). Their study found that damage to the right side of the brain leads to an impaired sense of rhythm, pitch, and timbre. In short: the ability to interpret music diminishes. And if we jump back in time to 1999, there was another very intriguing study (Blood, Zatorre, et al. 2006) that showed how when we imagine a song or any music-related activity in our minds, without even saying or singing anything out loud, the right side of our brain tends to get activated preferentially over the left side. Both hemispheres share certain physiological functions. There isn’t any kind of left-right dichotomy in our brains - in fact, it’s far more complicated than that. When it comes to processing music, both auditory cortices in your brain as well as the hippocampus (and lower parts of the frontal lobe) are responsible. The big takeaway here is the evidence these studies provide about how music clearly does have an effect on our brains and elicits a response that can be seen through magnetic resonance imaging (MRI). Since the beginning of time it seems that every human being could agree on one thing: music has a definite link to our emotions. You’re sitting there minding your own business and then, out of nowhere, your favorite song from way back in the day starts playing on the radio. You instantly snap back in time to the very first time you heard that song played. You remember what you were doing, who you were with, how you were feeling, and maybe even what you smelled at that moment in time. It brings back such vivid memories that it’s almost like you’ve just re-lived that exact moment once again. 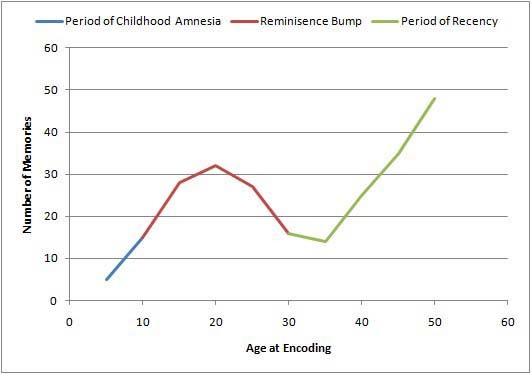 Psychologists have a phenomenon called the ‘reminiscence bump’. It’s when older adults remember events that occured back in their childhood and adolescent years in greater and in more vivid detail as they grow older. This period of time that this typically occurs is between 10 and 30 years of age; this is when we create most of our lasting memories. Later on in life, when some these memories start coming back to us, music will most certainly be a trigger that brings back the details. A study published in 2013 looked at popular music and its relation to these ‘reminiscence bumps’ (Krumhansl, Zupnick 2013). Music can bring out our childhood / early adulthood memories and make them more vivid. Even if this music wasn’t turned on voluntarily, there’s always background noise and music coming from the surroundings, buildings around us, the radio, etc. The ‘lifespan retrieval curve’ pictured above shows roughly how many memories we’re able to create as we get older (and at which ages). The blue line, called the ‘period of childhood amnesia’, is where we can’t remember anything from our infant and early childhood years (since create very little or no memories in this period, depending on whether we’re an infant or young child). Next is the ‘reminiscence bump’ illustrated by the red line. This is the period of time in our 20’s and 30’s where we create the most memories. 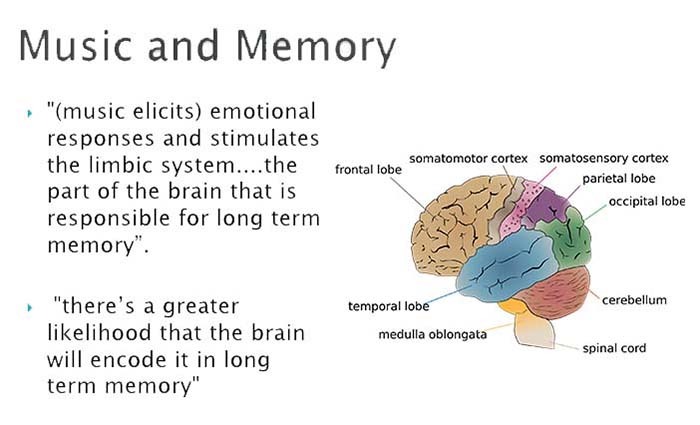 This means that the older we get, the more we’ll start recalling memories that were made earlier on in our lives. 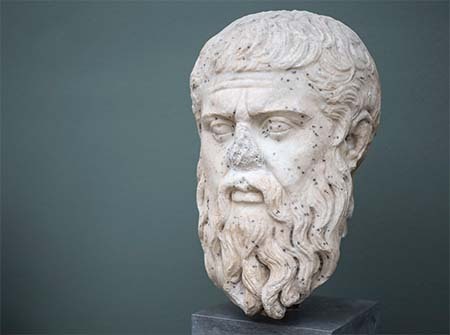 Music and Emotions: This is something that Greek philosopher Plato considered, that music played in different tones and/or keys could cause different emotions to arise. He even regarded music as an art that could shape someone’s character. And we can see this in action every single day. We can tell when a song or piece of music sounds happy, sad, or mysterious. It’s usually through a combination of chords (major/minor) and tempo/rhythm. Minor chords are usually perceived as “sad”. 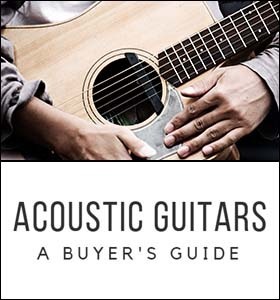 Major chords, on the other hand, are usually seen as “cheerful” or “happy”. The same goes with tempo, or the speed and rhythm of the song. Faster songs are usually happier and more joyful, whereas slower songs are seen as more mellow, and sometimes, sad or full of sorrow. Music has the ability to help us recall memories from our childhood and early adulthood. Not only that, but music can alter our emotional state based on the types of chords used in the song (minor/major) and the rhythm/tempo of the music. You may have heard of binaural beats in the past, or you might have not. Regardless, we’re going to explain how they work and why they’re used for relaxation, meditation, and similar techniques that aim to calm or “slow down” brain activity. The word binaural literally means, “both ears”. This is because to generate a binaural beat, you have to be listening to one frequency in one ear, and another slightly offset frequency in the other ear played at the same time. This is best done in headphones. When these two frequencies get to your brain, your brain interprets them as a new tone whose frequency is the difference between the two tones you just heard in your left ear and right ear. In the example above, the left ear hears a 200 Hz sound and the right ear hears a 205 Hz sound. Your brain, then, processes both frequencies together and interprets what you hear as one frequency: 5 Hz. The 5 Hz came from a simple subtraction: 205 Hz - 200 Hz = 5 Hz. Even if you understood everything above, nothing beats a live example! Put on some headphones and play the video below. You’ll hear a “pulsating” sound. Take your headphone off of one ear and only listen to the other ear (leave your other headphone pressed up against your other ear). 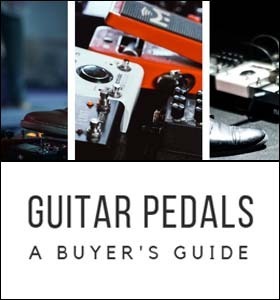 Instead of a pulsating sound you’ll hear a single tone. Now try it with your other ear. You should hear another single tone, but if you listen very carefully it’ll be very slightly higher or lower pitched than the other ear’s tone you just listened to. Once you’ve tested both ears, you can clearly hear how listening to these two frequencies at the same time produces a third “pulsating tone” - this is a binaural beat. This “pulsating” tone is called a Theta Brainwave, and is the combination of hearing one frequency in your left ear and one frequency in your right ear. The difference of the left and right ear frequencies need to be in the 4-8 Hz range for it to be classified as a Theta. There are also Beta, Alpha, Delta, and Gamma brainwave states that occur at different frequencies. Note that all of the benefits in the image above are generalized. Don’t expect every one of those frequency ranges to match each benefit exactly. If you listen to a certain wave long enough (usually around 5-10 minutes), your brain will “tune” to that frequency. Listening to low-frequency binaural beats will calm you down (0.1-4 Hz) and put you into a more relaxed, creative, or meditative state (4-14 Hz). Listening to high-frequency binaural beats will do the opposite. High frequency waves will place you into a state of alertness (14-30 Hz) and high-information processing (30-100 Hz). This is often called “Binaural Beats Meditation”, and it describes someone listening to binaural beats to get into a relaxed or meditative state..
Just like calm ambient music, lower-frequency binaural beats can have a similar effect as they help slow down your mind and calm you down. And if you’re studying, working, or doing any task that requires a lot of mental energy, you can turn up your binaural beats to a higher frequency in order to work quicker and process information faster. Since listening to a single pulsating tone can get pretty repetitive over a long period of time, you’ll often find that binaural beats are mixed with music. This makes them easier to listen to while still benefiting from having the beat in the background. Low-frequency (7.83 Hz) binaural beats mixed in music for a calming, relaxing, and meditation-inducing effect. Medium-frequency (14 Hz) binaural beats for a relaxed, stress-reducing, focused state. Test it out, listen to some binaural beats, and you’ll quickly see whether or not you feel the effects. Just remember, the effects won’t be immediate - it takes at least 5-10 minutes (this is a very rough estimation) to either slow down your mind or get you into a hyper-focused state. In this section, we're going to talk all about music therapy. What is it? What do music therapists help treat? Is there solid research behind it? If you’re reading this, you’ve probably wondered at one point or another: What is it exactly that music therapists do? Do they just play music for patients? Clinical Music Therapy is an evidence-based, highly researched discipline that applies scientific principles to help patients get better. “Music Therapy is the clinical and evidence-based use of music interventions to accomplish individualized goals within a therapeutic relationship by a credentialed professional who has completed an approved music therapy program." These are highly researched, specialized treatments, not just a piano player who decides to play in the hospital lobby one day. But the fact remains: music therapy works and is built on a solid well-researched foundation. It benefits and continues to help thousands of people all around the world. You must have a bachelor’s degree in music therapy from an AMTA approved college or university. There are currently 72 AMTA approved institutions. You must undergo 1200+ hours of clinical training. You must receive a MT-BC from the Certification Board for Music Therapists. This is a music board put in place to protect the public and ensure that everyone who practices as a music therapist stays up to date on their credentials and continues to educate themselves further. Depending on the state you live in, you may also be required to obtain a license for board-certified music therapists. This may seem like a lot, but if you end up pursuing this path its a very rewarding profession. You’ll be helping people get better every day through something humans are all wired to understand and connect with: music. If you feel that music therapy is the field for you, you can learn more about the details from the American Music Therapy Association: Click Here. According to Payscale, the median salary for a Music Therapist is $40,531 per year. On the upper end (90th percentile), an experienced music therapist can earn up to $59,000 per year. If you’ve stuck through with us up to this point, you should have a much better feel about music, its effects on the brain, how binaural beats work, and how music therapy benefits the public. Share this post with your friends and anyone interested in the science behind Music and our Incredible Brains! And if you’re up for more reading and love music, check out the related articles below or on our blog page.